I have some good news and bad news about the government’s efforts to take back prescription drugs. First, the bad news: while the national Prescription Drug Take Back Day was declared, in many communities, a success, the same can’t be said for Kitsap. We weren’t able to find any locations in Kitsap County that was taking back medications last Saturday. And following a scary incident at Mountain View Middle School last week, drop locations surely seem appropriate here. 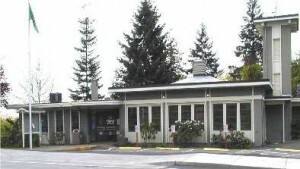 Now, the good news: on Tuesday, the Bainbridge Island Police Department announced it would be establish a permanent take-back program, so residents can bring their unused prescription drugs in anytime, Monday through Friday, to the police station near the ferry terminal. To my knowledge, they are the first police agency in the county to take on the program. Call the Bainbridge Police Department at (360) 842-5211 for more information. Also, the Group Health in Silverdale has a drop bin inside. All you need to do is walk in, head towards the pharmacy, and then drop in your unused/unneeded medicines. I would suggest calling the Group Health in your city to see if they offer the same type of service.